There were several things revealed today at today's Mortal Kombat 11 event in Los Angeles/London. Here are all of the videos for what's been revealed (so far). Players will be able to customize fighter variations. It appears there are several more smaller x-ray moves instead of one larger, cinematic one. Raiden has angered new antagonist Kronika (final boss?) by upsetting the balance of history. There will be a Kollector's Edition that comes with a life-size Scorpion mask. Rhonda Rousey is the voice for Sonya Blade. I'm thinking that this is a swerve and there will be at least 35 because Ed said on Twitter that MK 11 would have a pretty big roster. On a side note I have to say that Baraka looks like he might be my new main in MK11. I'm really digging the smaller x-ray moves throughout the fight. I always felt the longer, cinematic x-rays in MK9 and MKX broke up the flow of a fight a little bit. The game looks amazing and with the shorter xrays makes it seem faster pace and like a real fight. So apparently Kabal was teased during the stream in a blink and miss it moment. 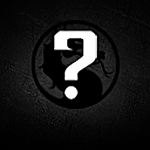 Kano and Johnny Cage are in... but i think they will be only cameos..
Cassie Cage and Kitana just got confirmed during the MK London event.